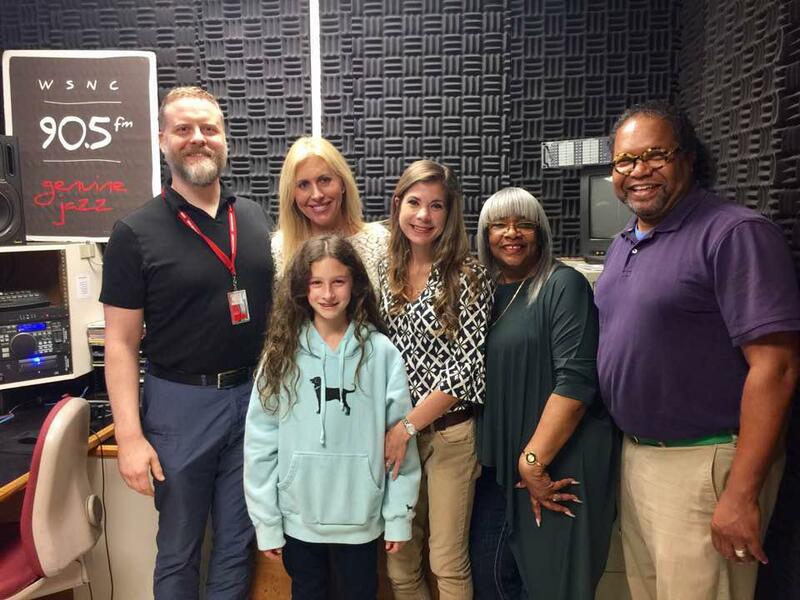 WSNC acting General Manager Ben Donnelly, author Emily Giffin with daughter Harriet, author Sarah McCoy, office manager/Morning Gospel host Darlene Vinson and Afternoon Jazz host, Jim Steele. New York Times bestselling historical fiction author Sarah McCoy’s new monthly program is called “Bookmarked with Sarah McCoy.” It airs every fourth Thursday of the month at 4:30 p.m. during Afternoon Jazz with Jim Steele. On September 28, McCoy welcomed New York Times bestselling author Emily Giffin to the program.